Medical device reporting, or MDR: what is it? What isn’t it? Why is it important? 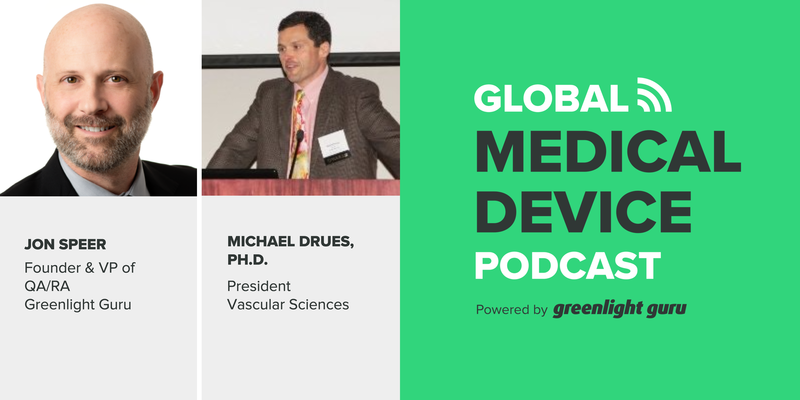 The FDA recently released a guidance on medical device reporting, and today we’re talking to Mike Drues, president of Vascular Sciences, about MDR and what it means to medical device companies. Mike is a frequent guest on our show and really knows just about everything there is to know about medical device reporting. Sit back and enjoy today’s episode of the Global Medical Device podcast. Why the 2016 FDA guidance on MDR is so important to post-market surveillance. What types of events are supposed to be reported, including tips on trying to find the relationship between a device and potential adverse effects. The relationship between complaints and MDRs: The MDR is a subset of complaints, but not all complaints will lead to MDRs. Mike’s thoughts on the timeliness of the reports when it comes to severity and frequency of the adverse events. Why the FDA is putting out this new guidance now, even though the process has been around for a long time. Who counts as a manufacturer in terms of the FDA guidance. Mike answers whether dentists, hospitals and physicians must report problems according to the letter of the law vs. the spirit of the law. How reprocessors fit into the reporting requirements. Mike’s thoughts on why medical device reporting might eventually become a moot point. Jon Speer: Hello, this is Jon Speer, the Founder and VP of Quality and Regulatory at greenlight.guru. 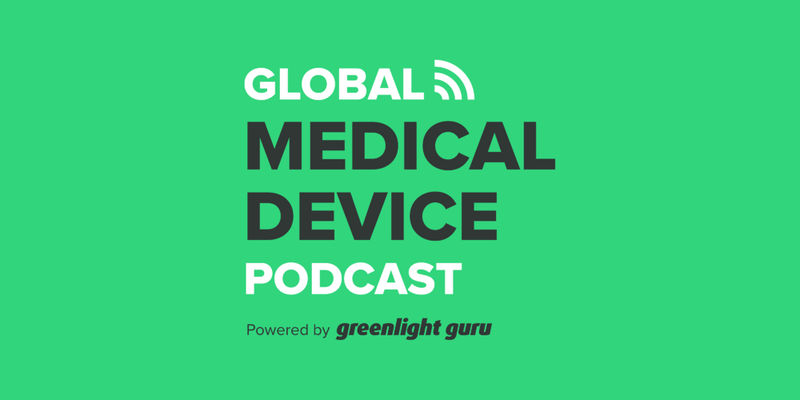 Welcome to the Global Medical Device podcast. In this episode, I have a conversation with Mike Drues of Vascular Sciences on the topic of medical device reporting and what that means to medical device companies. So be sure to enjoy this, take a few notes, learn a little bit more about medical device reporting and how this applies to your company. Jon Speer: Hello, and Happy New Year, Happy 2017. This is Jon Speer, the VP of Quality and Regulatory and Founder at greenlight.guru, and welcome to the Global Medical Device podcast. My guest with me today is Mike Drues from Vascular Sciences. You've heard Mike and I talk about a number of topics that are important, impertinent to the medical device industry, and of course, today, we've got another important topic to discuss. Mike, welcome to today's program. Mike Drues: Thank you, Jon. Always a pleasure to spend time with you and your audience, and happy New Year to you and everybody else out there as well. Jon Speer: Very FDA-specific. But let's spend a little bit of time today talking about MDR, what it is, what it isn't, why it's important. Mike Drues: So that's a great topic, Jon. As you mentioned, the FDA put out a guidance in November of 2016, on Medical Device Reporting or MDR for medical device manufacturers, and this is something that, quite frankly, is pertinent to medical device companies across the board. Mike Drues: So unlike some of the other topics that we talk about that are more applicable to one particular segment of the industry or another, this really applies across the board, because, let's face it, in spite of our best intentions, as engineers, to design medical devices that are safe and effective, occasionally, things do go wrong. And one very important part of this process is to try to identify problems once they occur, so that we can try to prevent them from happening again. And, of course, in order to do that, we need some sort of a system where that information is reported to us, as well as to the FDA, so that we can track it. Mike Drues: And that's, essentially, the intention of this particular guidance. It goes into talking about what kinds of issues that need to be reported. It also goes into some of the tactical minutia in terms of the forms that are filled out, and so on, but most importantly, this whole area, which is under the general category of post-market surveillance or the medical device equipment post-approval study, is important for all of us to be aware of. Jon Speer: Yeah, and this is one of those things that can confuse a lot of companies, especially earlier stage companies. There's a bit of mystification as to what has to be reported and when it has to be reported to the agency, not just with product issues, but just in general. And this is one of those few areas, as you say, that does affect every medical device company, and this is one of those few areas where you are submitting information to the FDA. Mike Drues: That's exactly right, Jon. And perhaps that's a good place to start our discussion today. What types of events are supposed to be reported? Well, according to the guidance, anything that can potentially cause serious injury or death to a patient needs to be reported. But that's sort of a statement of the obvious, the devil is in the details. Mike Drues: That powerful, that extreme example as a metaphor here. So it's very important and it's... Believe me, it's not always easy to do, but it's very important to try to see what the relationship is. In other words... I'll give you a simple example. Mike Drues: This is something from my medical device book from many years ago. A medical device company was doing, in this case, a clinical trial, but it could be after it was on the market already, on a new pacemaker. The trial was conducted in several different locations, including Boston, LA, and Minneapolis. In Boston, a patient was hit by a car and they break their leg. The Boston study coordinator concluded that the event could not possibly be related to the pacemaker, and as a result, the incident was not reported. In Los Angeles, a patient fell down the stairs and breaks their arm. The LA study coordinator concluded that the event could not possibly be related to the pacemaker, and consequently, did not report the incident. In Minneapolis, a patient slips on the ice and sprains his wrist. Once again, the Minneapolis study coordinator concluded that this event could not possibly be related to the pacemaker and consequently, does not report the incident. At the end of the day, none of these incidents were reported, as a result, the pacemaker was approved by FDA. While on the market though, a growing number of patients reported similar problems. Eventually, it was determined that there was, in fact, a problem with the pacemaker. The pacemaker was not working properly and it led to a syncopal event. In other words, the patients passed out, and that's exactly why these things happened. Mike Drues: So, of course, we all know that hindsight is 20/20. Clearly, this problem could have and perhaps should have been found much sooner. So the point of my little story there, it's very easy for anybody, including the FDA and the guidance, to say, "Serious adverse events that can cause serious injury or death should be reported," but exactly which ones are related and so on is not always easy to tell. One last thing that I'll mention in terms of suggestions for the audience, my recommendation, nearly all of the time, is that it's better to over-report rather than to under-report. Mike Drues: In other words, although FDA has put out guidance, of not just this most recent one, but a number of guidances over the years about what constitutes a significant adverse event that needs to be reported, versus one that does not. It's still a very, very gray area. Mike Drues: So my best advice to manufacturers is, if there's any doubt, if there's any question, go ahead and report it anyway. I don't think anybody's gonna get in trouble for over-reporting, but in terms of under-reporting, that's where problems can occur. Jon Speer: It's a good point, and I wanna dive into that a bit, because I've worked with a lot of companies, that they have these borderline events, let's say. They didn't necessarily cause death or necessarily serious injury, but there was that gray area, that potential that something could have happened. And I think there's this fear that if I report something to the agency in the form of an MDR, even if it's borderline, that somehow or another, that that's all of a sudden now going to raise a flag or put me on the radar screen with the agency, and I think that's a bit of a myth. What do you think? Mike Drues: That's an interesting question, Jon. So, on one hand, I could certainly see how some companies might be hesitant because they might fear that it would put them on FDA's radar, as you say. But, on the other hand, I see that as potentially a huge advantage because, quite frankly, that's proof that our tracking, our quality system, for example, is working. Mike Drues: And, as a matter of fact, tying this into the pre-market, something that I spend a lot of my time on, the whole submission process, one of the things that I will draw attention to on a pre-sub, for example, if a company already has products on the market, it's very interesting, and I know you spend a lot of your time in quality systems and this is stuff that we've talked about in the past as well. It's very easy for a company to say, "We have those systems in place", but just because we have those systems in place, and just because they meet the regulatory requirements don't necessarily mean that it works. Jon Speer: Yeah, yeah, back up. Mike Drues: Not only should you report these to the FDA, but you should be proud of that. You should say, "Look, our systems are working, we recognize that we tried to do the best we can from an engineering perspective, but none of us can design a perfect product, and when problems occur, we want to identify them, we want to try to figure out why they happen." One of the things that I used to spend a lot of my time on, earlier in my career as an R&D engineer, is in failure mode recreation. In other words, if you have a problem with a device in the field, can you, using some sort of a simulation, recreate the conditions that led to that particular failure? For those in the audience that remember the old TV show, Quincy, that's exactly the same kind of thing. The medical exam or the forensic approach to medical device design. That's often a real challenge because you don't have a lot of detailed information from the clinical folks as to the circumstances that led to this particular problem, unless it led to a very significant problem like a death. When somebody died, now you get a nauseating detail of information. Mike Drues: But oftentimes, if it's a disposable product, for example, if a catheter breaks or a balloon pops or something like that, they just throw it back in the box and take a new one. So the information that you get in a situation like that might not be as detailed. So anyway... So I would suggest to the companies out there, that not only should they report these things, but they shouldn't hesitate, they should draw attention to them. Jon Speer: Hang on. CA, corrective action, where they're fixing something after it breaks or after there's an issue. Whereas, preventative action is having a little bit of foresight and being proactive. So, yeah, I agree with you. Mike Drues: That's right, thank you for clarifying that. So I think that we, as an industry, I'm not trying to be overly critical, I'm just trying to be honest, we, as an industry, are very good at putting on band-aids to problems, but not always real good at getting to what engineers like to call the root cause. Jon Speer: That's right. That's right. Well, I think, just to get a little bit more clarity around this, an MDR, for those at home listening or in the office listening, an MDR is most definitely a complaint, and I think it's important for companies and people to understand, you need to have, if you don't have, that's a problem, call Mike or I, and we'll get you squared away, but you need to have a complaint handling process, and not every single complaint that you get about your product is necessarily going to fit in this, we'll call it a special category, or special case of an MDR. An MDR is a certain circumstance where, like Mike has described, that has the potential or has caused serious injury or death. Now, Mike, there's a couple of different varieties, if you will, of MDRs. There's the five-day version and there's the 30-day version. So what is the difference, and how do I know and what do I do differently for one versus the other? Mike Drues: Well, that's a great question, Jon. But, actually, before I get into that, I would just like to back up for just a couple of seconds. Jon Speer: I guess, yeah, it's a fair statement. I guess, most of my experiences have been, there's been a product issue, and something didn't go well, but yeah, I suppose there is that scenario where it doesn't necessarily have to be a complaint, it's a good point. Mike Drues: For example, a complaint can be something purely aesthetic, they don't like the color of your device, they don't like the feel of your device or something. I think an MDR, a medical device report, is perhaps a subset of complaints. Mike Drues: That is specifically designed or user-related, although interestingly, in the guidance, FDA singles out user-related issues, we can talk about that in a moment, but a design or a manufacturing or a user issue, some sort of a flaw, some sort of a defect in a material, or something like that. Jon Speer: An MDR is always a complaint. A complaint is not always an MDR. Is that a fair statement? Mike Drues: I think I would agree with that. Yes, absolutely. Mike Drues: That's fair. So back to your original question, in terms of the timeliness of the report, so your audience can certainly look at the details in the guidance, but as a general rule, and this is common sense, the more severe the problem, the more likely it is to cause great harm to the patient, in the clinical vernacular, what we call a significant adverse event, which is just a fancy way of saying something bad happened to the patient. So if something can cause great harm, if something can happen very frequently, in other words, if you have a lot of devices out there, and this particular issue is, let's say, a manufacturing issue, and now there's a whole bunch of devices in a certain lot that are being affected. As a general rule, those things have to be reported, and those things should be reported to the FDA in a much more timely fashion, in a matter of days, as opposed to either a less severe or a less frequent event, that could wait a little bit longer. Mike Drues: So that's the general philosophy, beyond that, the details are in the guidance. One other thing we can mention on the tactical side in terms of the forms, many in your audience are familiar with form 3500A, there's actually several different types of that form, but 3500, in general, is voluntary reporting. There are two subtypes of that form. There's what's called 3500A, which is mandatory reporting, for manufacturers, but then there's also a 3500B. This is something that most of your audience is probably not familiar with, that's voluntary reporting by consumers, so this is a form that the users can use to report problems directly to the FDA. Mike Drues: And with the number of home-based medical devices rapidly increasing, as you and I have talked about before, I think this is something that more people need to be aware of, and one of the things that I would encourage companies to do. I haven't seen many companies do this, perhaps you have, I don't know, is as part of their training information, as part of their educational material, as part of their packaging, maybe in their directions for use or something, they can have a statement in there, "If there's a problem with this device, our device, you can report that information to us, but you can also report it directly to the FDA, using this particular form 3500B on FDA's website." I'm not sure, to be honest with you, Jon, if many companies are gonna be keen on doing that, but maybe I'm a little naive, but I would like to think some might. Jon Speer: Right. Well, so let me just recap a bit for the audience. Mike mentions this form 3500. 3500 is the form that you fill out when you have an MDR event, if you're a manufacturer, it's 3500A, and for a consumer or a patient or a user of healthcare devices, medical devices, the form is 3500B. So if you have an event and you need to report to the FDA, and you're a medical device manufacturer, it's not just like you pick up the phone and call them. It's not like you send an email, you fill out this form, 3500A. And the form, having gone through it many times myself, can be a little intimidating when you first look at it, but it's a pretty thorough form, and there are very good instructions that are included with that form. I just encourage you to follow those instructions. And, if you do that, then you should be in pretty good shape. Plus, we have this guidance that gives a pretty good amount of detail as to the nuances and the details of MDR reporting as well. Jon Speer: So Mike, I guess the interesting question for me is, obviously MDR, this is not a new regulation, this is something that's been in FDA regulations for many, many years. In fact, the previous guidance, I think, was first published in 1997. So, why is FDA putting out this new guidance? Why is this happening now? What's going on? Mike Drues: As we just talked about. The forms, the timelines and so on. Those things are all important, obviously, but, in my opinion, those are not really the most important. That's one of the things I've been trying to stress in our conversation today is the fact that, A, we do it, and perhaps we should over-report as opposed to under-report, but, B, also to illustrate to the audience, as I shared with the pacemaker example earlier, that it's not always easy to know what constitutes a reportable event and what does not. Mike Drues: And along with that, as we just mentioned, I think the differences... For example, the guidance says that all medical device manufacturers are subject to this. But now what constitutes a manufacturer? You and I have talked about personalized medicine, including 3D printing, in the past. So if... I shouldn't say if, but as medical devices are being able to be printed, I.e. Manufactured in a hospital, in a surgical suite, in a doctor's office. Is that manufacturing? And therefore, are they subject to this particular medical device reporting regulation? You and I just collaborated on a question very recently that we got from one of our customers on a dental office. Mike Drues: Jon, do you wanna give a quick recap of that? Jon Speer: Well, yeah. There is a company that we've been working with that is developing a new, novel dental product, and part of the product that they're developing, there are components that they're getting from a contract manufacturer, but there is one of the components that will be printed in a dental office for this particular dental procedure. And the question came up, how do you consider this dentist? Are they a manufacturer? Are they a user facility? What are they? And so, that's a big question mark. And we collaborated a bit on that, and it's one of those somewhat grey areas, right? Mike Drues: It's a very grey area, Jon. And my specific recommendation, and I would love to hear your thoughts on this, is when we actually look specifically at the regulation, dental offices are not included, physicians, hospitals, outpatient surgical centers, and so on. But that constitutes a whole set of interesting like questions. Like, for example, Is a dentist a physician? What if a physician office is in a nursing home or something like that? So you're exactly right. They're in the grey area. So my recommendation to our customer here was very simple. According to a strict interpretation of the regulation, in other words, the letter of the law, they are probably not under a regulatory or a legal obligation to report a problem. However, although that is what the letter of the law says, that is clearly not the spirit of the law. Mike Drues: And so, to be honest with you, if we're implanting something in somebody's body, it really doesn't matter where it's being done, and so on. If there's a problem, we need to report it. I think that's the ethical responsibility that we have, working in this business. Mike Drues: Some people might argue. When I shared this, actually, with my wife recently, she said, "Well, maybe they should add dental offices into the regulation?" Mike Drues: And there's a problem, somebody needs to be told. Mike Drues: Well, another one that FDA does actually include in the guidance, Jon, is reprocessors. Jon Speer: Reprocessors, that's a great point. So how do all these different entities fit in? And touch on the reprocessor first. Mike Drues: Well, this is an issue that you and I have talked about in the past, and unfortunately, many in your audience are probably familiar with the tragedy that happened at UCLA and a few other hospitals last year, where certain medical devices, in this particular case, duodenoscopes, were not reprocessed properly, and, as a result, a number of people were infected, and in a few cases, they actually died. So now, actually, FDA is including those folks in this particular guidance as well. From a regulatory perspective, I think it's interesting that FDA is trying to do that because, kudos to them, it's an admirable goal, but on the other hand, FDA has no authority to regulate reprocessing in hospitals. Mike Drues: Because it is the practice of medicine, but nonetheless, I think, philosophically, it's the right thing to do. Mike Drues: Another thing that I think is interesting about the guidance, Jon, as we end our discussion, is in this guidance... And this is something that I strongly disagree with my friends at FDA on, they single out user error. In other words, if somebody uses a device improperly, that does not necessarily have to be reported as an MDR. They're separating user error from design error. The reason why I have a problem with that, is that how many times does a user error, the same user error have to occur before we finally determine that, in fact, it was a design error? Do you know what I mean? So I think, personally, trying to draw a line between, say, design flaws and user flaws is difficult, if not impossible, to do. Mike Drues: One last thing that I wanted to bring up very quickly before we end our discussion, is for some folks in this industry, this whole idea of medical device reporting might become a moot point, and here's why, one of the interesting technology areas that I'm working on right now, is with a company where we are developing the technology, that if problems occur with the device, those problems are automatically reported to the manufacturer and the FDA. Kind of like, God forbid, when an airplane crashes, they harvest the black box in order to recreate... So, kind of a black box technology for medical devices. Obviously, that kind of technology is not gonna be applicable to all devices across the board, but for a number of devices, certainly electronic devices, and certainly devices that have some communication with the outside world via internet or something, which is a growing number of devices, as you know, that technology is going to be very beneficial. Mike Drues: So having a black box kind of a recording, so to speak, would make our reporting a lot easier, but much more importantly, would make our failure mode recreation a heck of a lot easier, 'cause, as I said earlier, when I was an R&D engineer, and one of my jobs was to recreate failures that occurred in the clinical environment, oftentimes, it was very difficult to do because I didn't know all of the details that I would like to know, in terms of how that device was being used. Mike Drues: But with a black box recording, I would be much better prepared to do that. Jon Speer: Yeah, absolutely. That's pretty exciting, actually. So, Mike, let me sum it up by saying, folks, MDR, it can be your friend, don't be afraid of it. We are making medical devices. Physicians, dentists, healthcare providers are using the devices that we're developing. There will be serious injuries, there will be deaths that happen, we cannot prevent that. That's just the nature of the business that we're in. If and when those types of things happen, do embrace the MDR, and review this guidance document and become familiar with form 3500A. Jon Speer: You should be aware of it, you should have more than just a procedure in place. You should know how and what to do, if and when these types of events happen. Because, in all frankness, it's going to happen to your product, it's a good chance that it's gonna happen. So just become familiar with it. And as Mike has highlighted, and I echo as well, it's much better for us to be proactive in these situations rather than reactive, so don't wait for the problems to happen, try to identify opportunities for improvement well in advance, so that you're staying on top of things. And Mike, on this particular topic of MDR, as you and I spoke prior to the podcast, we could go part two, part three, and so on and so forth. There's a lot of twists and turns we can get into. We can get into how does MDR relate to your risk management and your product design, and so on and so forth. So I'm gonna table those particular topics to a next podcast, but Mike, I appreciate you joining me in this new year, and kicking off another exciting year of the Global Medical Device podcast. Mike Drues: Well, thank you, Jon. Always a pleasure to be with you and your audience. This is a very important topic, for all of the reasons that we discussed. I would be happy to talk about it further, but just to wrap this up for me, I would just like to remind the audience of two important points. First of all, over-report as opposed to under-report. That's number one. And second, and most importantly, is act on the information. Mike Drues: Let's be honest, talk is cheap, it's very easy. I know all the companies out there, they have quality systems, they have complaint systems, they have CAPA systems and so on. Well, talk is cheap. Prove it. Mike Drues: So take this information and figure out, ultimately, how we can make our medical devices even better than they are today. That's the whole intent of this regulation. Jon Speer: Absolutely. And Mike, I'm gonna let that be today's final word. But for those of you who are interested in learning a little bit more about how to improve your quality management system, including processes and procedures and forms and workflows on how to manage complaints and MDRs and CAPAs and design control and risk management, I encourage you to reach out to greenlight.guru. Yes, that is our website, www.greenlight.guru. We'd be happy to have a conversation with you. You can always reach out to Mike Drues, you can find him on LinkedIn. Again, Mike Drues, DRUES, with Vascular Sciences. And again, this has been Jon Speer, your host, the Founder and VP of Quality and Regulatory at greenlight.guru, and you have been listening to the Global Medical Device podcast.